Haddock Newburg is a take on the famous lobster Newburg. Cooked haddock is added to the wonderful, rich Newburg sauce. Serve the haddock and sauce over toast points, puff pastry shells, or biscuits. The classic Newburg sauce comes from the popular lobster Newburg. The original dish was made with lobster and a rich egg and cream sauce with sherry. It dates back to 1876 when it was a menu item at Delmonico's restaurant. Serve this dish with roasted potatoes and steamed vegetables. Butter a large, shallow baking dish. 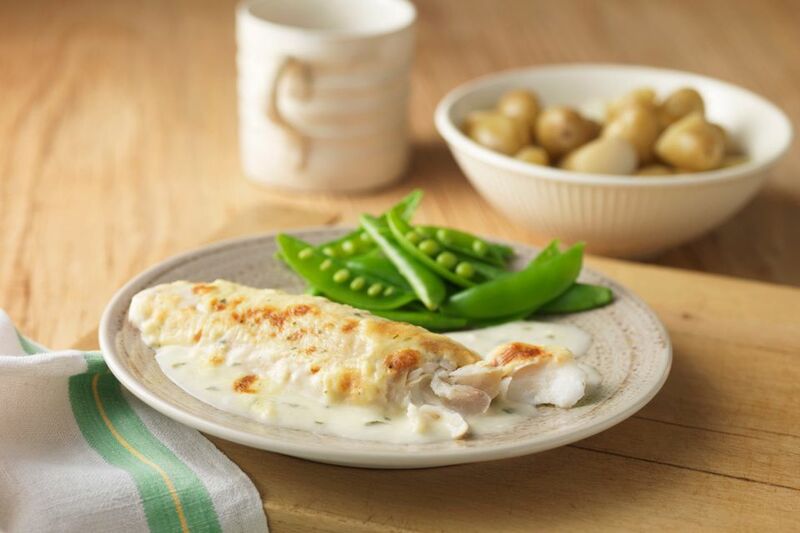 Sprinkle the haddock fillets lightly with salt and pepper and arrange them in the baking dish. Melt 1 tablespoon of the butter; drizzle over the fillets. Bake for 20 to 25 minutes, or until the fish is opaque and flakes easily. Remove the fillets from the oven and set aside. Melt the remaining 3 tablespoons of butter in a medium saucepan over low heat; add flour, 1 scant teaspoon of salt, paprika, nutmeg, and cayenne, stirring until smooth and bubbly. Continue cooking, stirring, for 2 minutes. Gradually add the cream and milk. Cook, stirring constantly until thickened. In a bowl, whisk egg yolks and sherry; whisk in about one-third of the hot mixture and then return egg mixture to the saucepan. Cook over low heat, stirring constantly, for about 2 minutes longer. Flake the cooked haddock and add it to the sauce. Heat for another minute, or until hot. Serve the fish mixture over hot baked puff pastry shells, biscuits, or toast points.